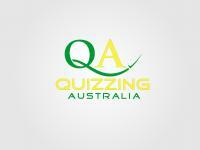 Release from Quizzing Australia Inc. The International Quizzing Association and Quizzing Australia will host Australian legs of the 2017 Junior World Quizzing Championships on Saturday, 16th September. Venues are planned for Brisbane, Canberra, Melbourne and Sydney. As well as playing for the World title, Quizzing Australia will recognise Australian, state and category champions. The event is being run by the International Quizzing Association which has held adult world championships annually since 2003. “Supernerd” Issa Schultz from The Chase Australia is a five-time winner of the Australian round. The Junior version was first held in 2016, though Australia did not participate that year. Students interested in participating should visit the Quizzing Australia or Junior World Quizzing Championships websites. 1. What is the maximum number of characters allowed in a single tweet on Twitter? 2. Viti Levu the largest island of which nation in the South Pacific? 3. What is the chemical symbol of tungsten? 4. Which singer performed the official theme song for the Bond movie ‘Skyfall’?